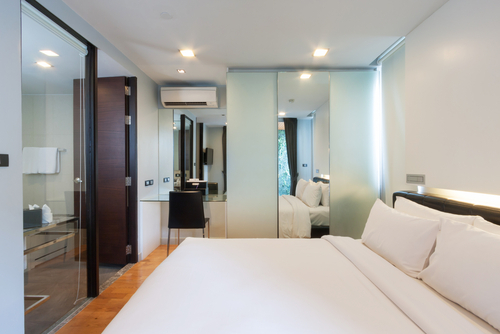 Your air conditioning unit is actually designed in automatically removing any unwanted heat on a particular room or hall. Understanding the basic workings of an air conditioning unit will help you in dealing with it efficiently. If you are efficient in using all of your appliances, a lot of your hard earned money can be saved not just by the usage but also for repairs and maintenance. There are so many different types of air conditioning units. They are the geothermal window units, the ductless mini-split systems, portable air conditioners, ptac, and swamp or evaporative coolers. For now, let us take a brief look on the basic ducted air con split system. This type of system makes use of a condensing unit, an evaporator coil and refrigerant lines. They are the ones responsible for making sure that the control system and the fan works well with the unit’s furnace air handler. These are basically the ones that make up an air conditioning unit that is much capable in cooling an entire house or office, depending on the size. Every installation job of an air conditioning unit is different from one another due to a lot of circumstances. If you use the tips we have compiled for you below, you will be guaranteed that you will surely feel confident on the installation job you have asked and paid for. It is actually a good idea to have the potential installer walk you around the ways on getting the job done. This should be done with a company representative around so if there are issues that will arise, it can be resolved then and there. There are unit manufacturers that would require an installation company to make the payments for the repair labor but only within a few months after the installation. We have listed down the top twelve things you have to do in order to ensure that you are getting a quality installation job. Once you are talking through with the technician regarding the air conditioner installation, pin point the things that we will mention below to him or her and you will surely be satisfied with the installation process. Number One: Your outdoor unit has to be level. Making sure that the unit is level is actually very crucial in the proper distribution of oil which is the one responsible in lubricating the compressor. Two: The outdoor unit has to have a protective pad right under it and it has to be made of concrete or hardened plastic. This is important in making sure that the unit has a solid base. Three: Your outdoor unit has to be at least about a foot away from your house. If you ensure this, the condensing unit will be assisted in performing the proper air circulation. Without a proper airflow, your air conditioning unit will have a higher operating pressure which would use more electricity. 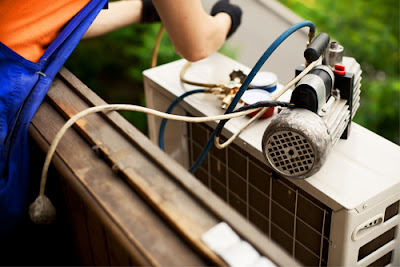 In turn, you will have to pay more for your electric bill and it is also one factor that hastens the wear and tear of your air conditioning unit. Four: There has to be a refrigerant drier or filter in your air conditioning system. A filter or drier looks like a metal can that is surrounding a much smaller refrigerant line. Check if you have it on the back portion of your unit. If you notice that you do not have the jagged lines, you can check on the inside of your air conditioning unit because there are many brands now that placed and built them in the interior. This is very crucial in ensuring that your unit wont get any moisture especially on the refrigerant system. The combination of moisture, the elevated temperatures and the refrigerant can actually produce an acid! This will then cause leaks all over the system which would cost so much money for the repairs and labor. Five: There has to be a wire for the electrical disconnection just within three feet of your outdoor unit. You have to ensure that this is followed because this is considered as a safety requirement for all of the maintenance, repairs and emergency situations. Most building codes require such, whether it is commercial or residential. Six: There has to be no trash or scraps left laying around the floor from the installation. You can tell that you are getting a sub-standard installation job if there are scraps left in the area because he or she is not paying attention even to the minutest things. Seven: Your outdoor unit’s large copper line that runs to the indoor unit has to be properly insulated. Check if there are any tears or tampering on the foam insulation. 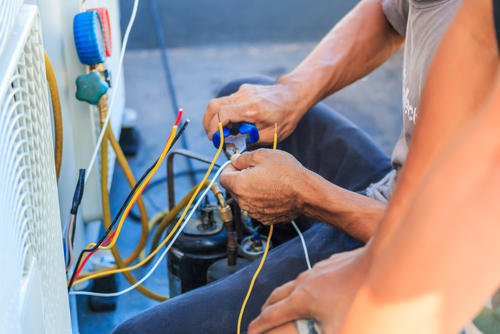 If you want to maintain the efficiency and the proper operation of the unit’s compressor, make sure there are no holes in it. Eight: The copper lines has to be supported for every three to four feet and there has to be no sagging along the lines. If there is a sagging line, it will cause the oil to be trapped inside which is very much needed in lubricating the compressor. Your air conditioning unit will fail over time if its compressor does not get the sufficient oil it requires. Nine: The copper lines has to be cut only on its required length and if possible, kept as short as possible. Ten: Usually, the copper lines are of the same size with the connections used within the air conditioning unit. If you found out that it is done otherwise, ask for the reason to help you understand and clarify the situation. Eleven: Both of the connections for the emergency and main drains to the indoor coil has to be properly connected to its suitable drain. Lastly, Run the whole system through its complete cycle for cooling. This is to ensure that everything works perfectly fine. Along this time, it would also be a good idea to check if there is a possible temperature drop on the evaporator coil. You can do so by measuring the air’s temperature on the main duct supply and then subtracting it to the temperature of the air that enters the air handler or furnace. If you have a modern and highly efficient air conditioning unit, it should have a temperature of around twelve to fourteen degrees. Make sure your air conditioner installation can pass through all twelve check points. If it does, you can be confident that your air conditioning system operates effectively and efficiently and that it would last a fair or good amount of time.